The legislature is working to implement a constitutional amendment that bans vaping in indoor workplaces. But another vaping proposal appears dead for this session. A House committee this week shot down a bill that would have changed the definition of “tobacco products” to include nicotine products and devices that dispense them. The bill would require businesses that sell these products to pay a small fee and get a permit from the state -- to be a tobacco dealer. These products would have to be sold face-to-face and not through a vending machine in most cases. “Why does the state of Florida need to get involved in the marketplace on this issue?” Rep. Jason Fischer (R-Jacksonville) asked Hill. It’s already illegal in Florida for those under age 18 to buy or possess tobacco products, like regular cigarettes. 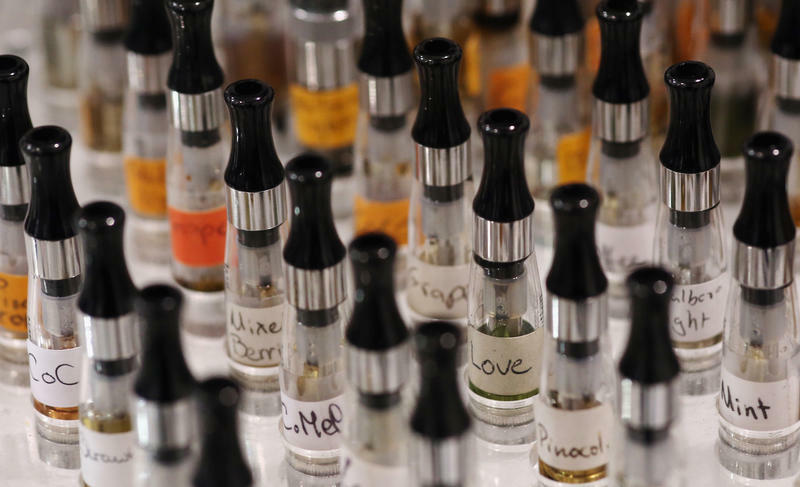 This bill would add vaping devices to that group, even if the device doesn’t contain nicotine. 42-year-old Albert Harper from Clearwater spoke against the bill during public testimony. Harper is a veteran who runs social media pages dedicated to educating consumers about vaping. He says the bill will devastate the average consumer’s accessibility to tobacco-reduction products like e-cigarettes. Like most of the speakers, Rep. John Cortes (D-Kissimmee) opposed the bill. He wants more emphasis on regulating vaping devices. Rep. Kimberly Daniels (D-Jacksonville) was the only speaker to say she supports the proposal. Daniels delivered one of three yes votes to eight no votes in the House Government Operations and Technology Appropriations Subcommittee. That halts momentum for the bill in the House, and the Senate version is not scheduled for any committee hearings. The Florida House is moving forward to implement a voter-approved ban on electronic smoking devices in workplaces, but the proposal doesn’t include a push by anti-smoking advocates to redefine vaping devices as tobacco products.